During the Golden Age of Hollywood, which lasted from the end of the silent movie era in the late 1920s until the late 1950s, films were prolifically distributed by the Hollywood studios. 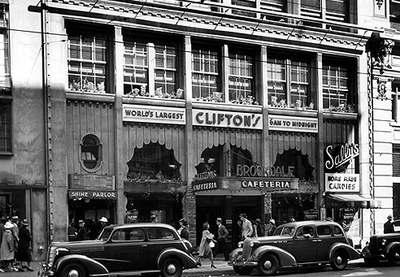 The manner of production came to be known as the Hollywood Studio System, which standardized the way movies were produced. All film workers (actors, directors, etc.) were employees of a particular film studio. The Hollywood studio system was controlled by mainly five studios which were MGM, Warner Brothers, 20th Century Fox, Paramount and RKO. The big movie studios churned out classic films with some of the most popular movie stars of the time. 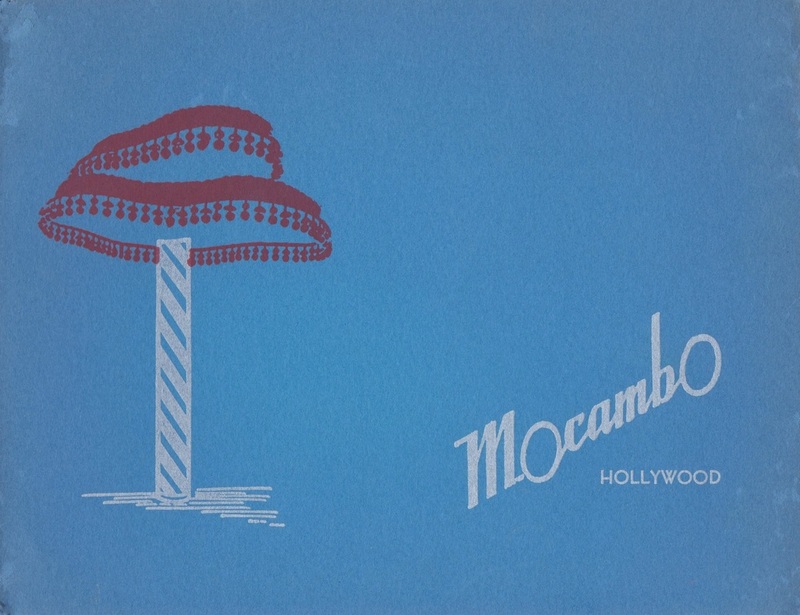 Hollywood and Los Angeles became a night life playground for A-List stars and starlets such as Marylyn Monroe, Betty Davis, Cary Grant, Lucille Ball, Kirk Douglas and Marlon Brando and so many more. It was considered the best 30 years of old Hollywood glamour. 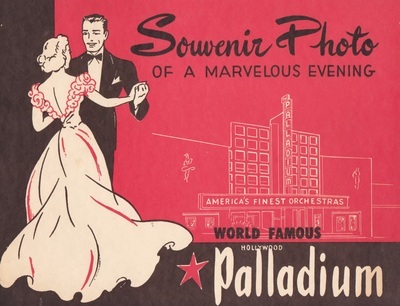 Appropriately, after a day of hard work shooting films, movie stars needed dazzling places to attend for entertainment. 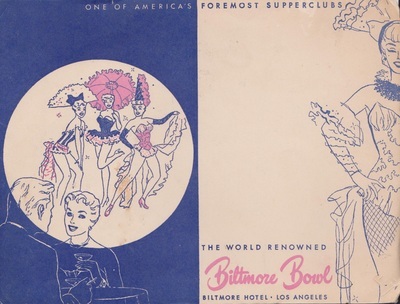 The nightclubs of the Sunset Strip gave everyone, not just movie stars, an opportunity to have an amazing night out. Remember most people did not have their own televisions, and Internet and Social Media did not exist. Your entertainment was getting all dolled up in a classy ensemble with a matching hat and shoes, then heading to a fashionable nightclub to be entertained, then to drink and dance cheek to cheek the whole night away! With at least one date every night, sometimes even multiple dates per day, Vilma had the luxury of picking and choosing men at her own leisure. A typical date would include a day at the beach, going to a local club or bar, a drive-in movie (always a double feature), jitterbug contest, roller skating, a music show or dinner, which usually included dancing and a nightcap. The men who could afford it took her to some of the finest supper clubs in Vintage Los Angeles and the Historic Hollywood Sunset Strip. 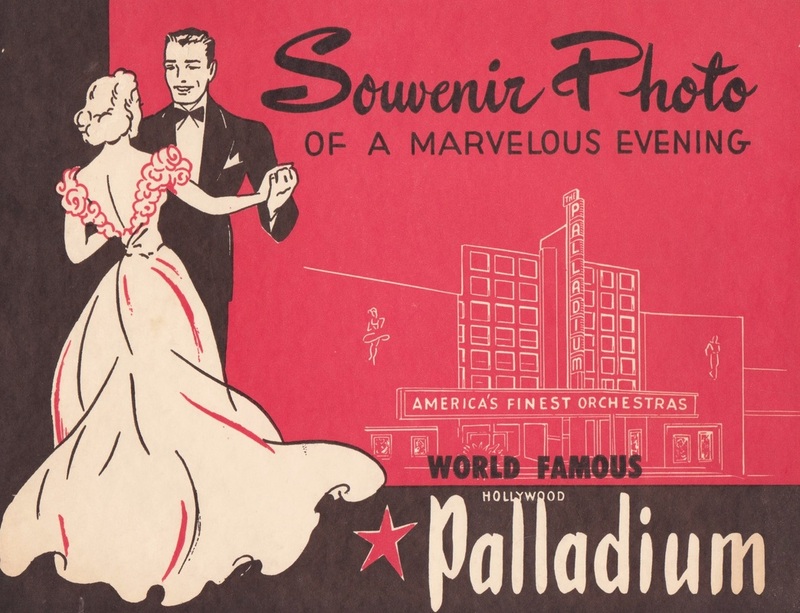 The World Famous Hollywood Palladium: one of the largest dance halls ever to be built. Amazingly, up to 2000 couples could be on the dance floor at once. In 2008 it was completely renovated and still hosts many of the top artists of the day. 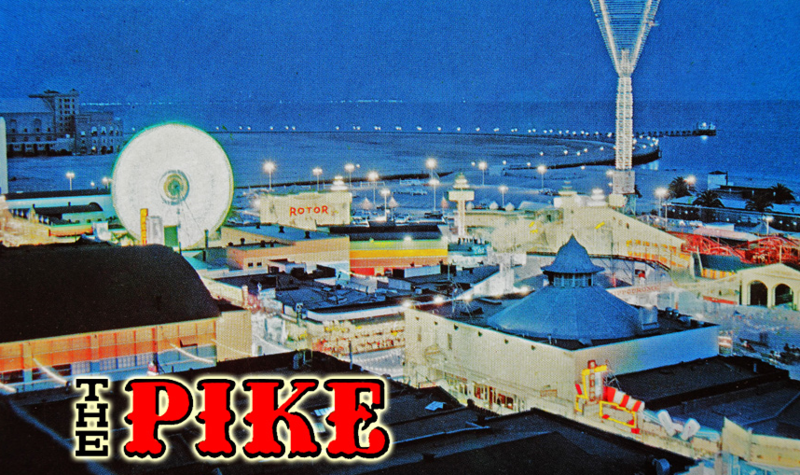 The Pike in Long Beach: The Pike was an amusement zone on the shoreline south of Ocean Boulevard with arcade games, food stands, gift shops and a variety of rides. Now defunct, it was most popular for the Cyclone Racer, a large wooden dual-track roller coaster built out on wooden pilings over the water. Imagine the current Santa Monica Pier, but much, much larger. The entire zone covering "The Pike" area in Long Beach has been completely restructured by the city over the decades. For those of us who were not lucky enough to be part of this era, there are many old photos to remind us of the expansive area it used to occupy. 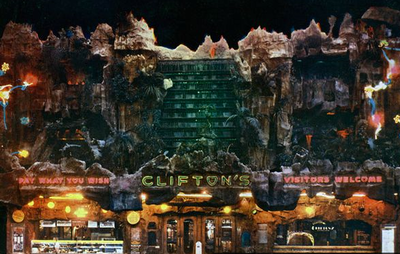 Clifton's Cafeteria is one of my all time favorite places to talk about. Some of you may remember the Clifton's Cafeteria on 6th and Broadway from the 1970's to current, with it's dull, tacky façade, cafeteria food and quite frankly, the seedy location in Los Angeles. 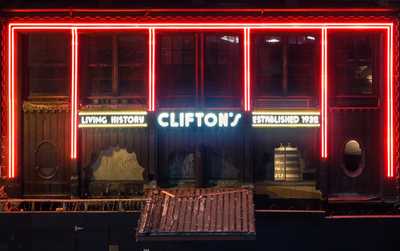 Ahhhh, but that was but a shell of what it used to be from its heyday from the 1930's to the '50's. It's now been completely renovated, and it is spectacular. 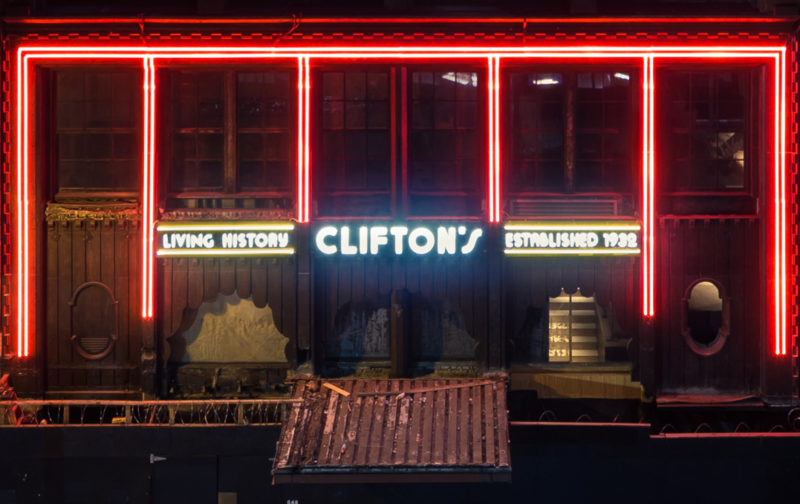 The two main dining floors are completely intact, with the original redwood trees, murals, hardwood floors, rock fireplace and much more, it is a feast for the eyes! Between the two original locations in Downtown L.A., the redwood forest themed "Brookdale" and the Polynesian paradise version "Pacific Seas", they truly had the very first Disneyland: the neon lights, tropical islands, thundering rain storms, gushing waterfalls, neon palm trees and even lava flows! Through Vilma's diaries and historic photo archives, we will get the chance to experience the grandeur first hand through the eyes of the "Camera Girl". A “tray full” for a “trifle” was their motto. Especially during the Depression era, it meant if you did not have the ability to pay, you could receive a whole tray of food for a "trifle" amount or even free. In the theme of charity and uplifting spirits, the newsletters were a number of thoughts and quotes by various people, some more well-known than others. All of these quotes, rhymes, and thoughts were geared toward helping people get through the war and through their day with a good outlook on life. In this style of weekly newsletter is where I would like to introduce to you my own version of “Food for Thot”. This will be an added commentary to the blog diary entries, an optimistic video, article, quote, or a faith filled thought of the day. It will stay in the same vein of the diary themes and maintaining a positive outlook on life, just as my mother did. Just look for the green box below to read the added commentary on the blog posts.